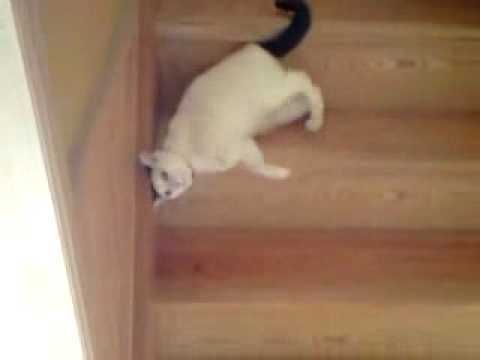 There are 3 cat videos tagged with stairs. 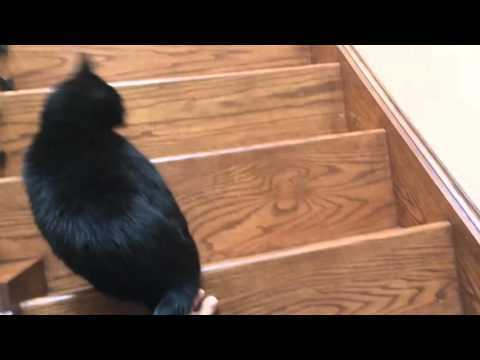 This hilarious cat certainly has a strange way of getting down the stairs. Instead of walking, it decides to rub and roll its way down. Stephan wants to be petted and cuddled soooo much that he won't even let his owner walk down the stairs in their house.